The Upperco VFC is proud to announce the birth of Jaclyn Victoria Elaine Haslacker. Jaclyn made her appearance (exactly on her due date) July 4th 2018 at 2:48 pm. 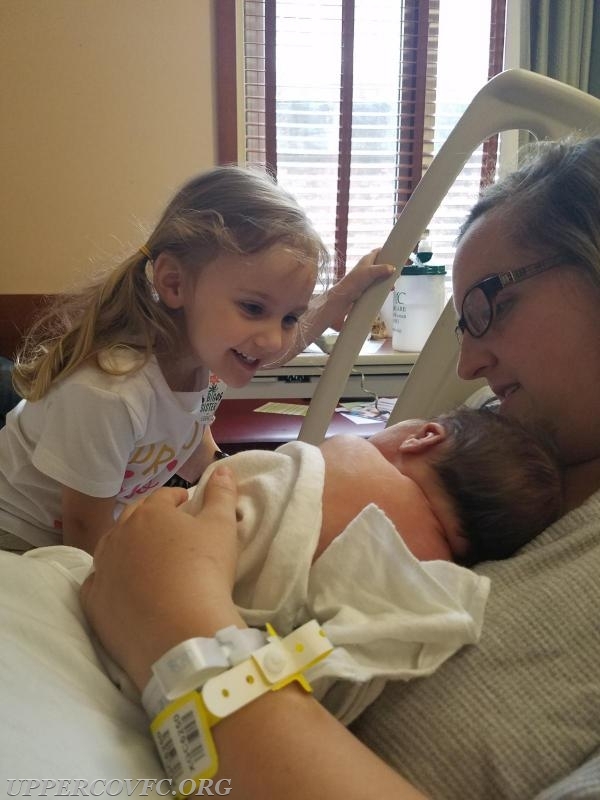 Mom (Jen Haslacker - UVFC Secretary) Dad (Alex Haslacker - UVFC EMS Lt.), big sister (Addison - future Junior member) and baby are doing great!